The first quarter of 2017 would have been a hectic but fulfilling months for Samsung Philippines, as they busied themselves in refurbishing and adding more Samsung Service Centers to cater a wider range of their loyal patrons. Samsung has now 4 official service centers in PH. With these additional Service Centers, more Samsung users can conveniently relay their product-related concerns and be served in a jiffy. Located in Manila, Valenzuela, Laguna, and Cebu City, the newly-renovated service centers aim to provide technical support and frontline assistance to Samsung’s ever growing client-base. 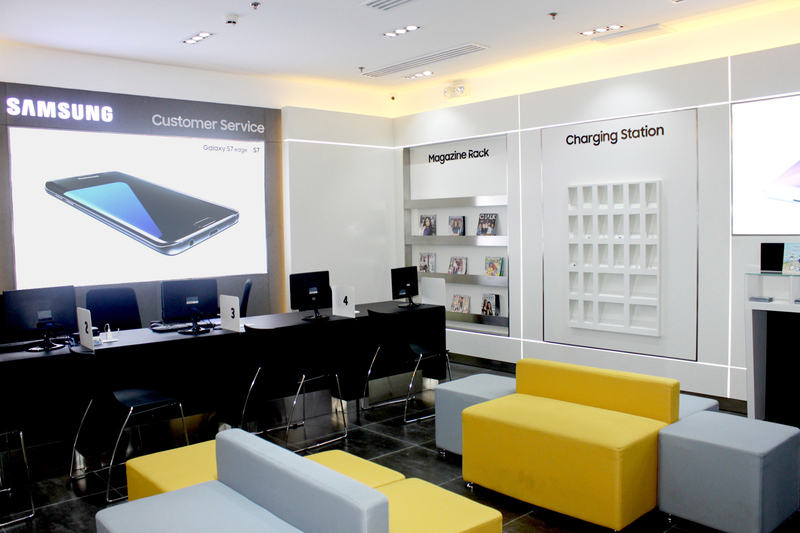 The new service center located at SM City Cebu provides support for all Samsung mobile products such as smartphones, tablets, and other accessories. On the other hand, the Manila, Laguna, and Valenzuela service centers offer support for all Samsung products including but not limited to mobile, digital appliances, and UHD TVs. Highly-skilled service engineers can attend to the needs of the customers in terms of repairs, software updates and recovery, device set-up, troubleshooting, and parts placement. All above-mentioned Service Centers feature vibrant store displays, which create a more fun and enjoyable environment for visitors. Precisely crafted lines on the wall and bright lighting also give a more refined aesthetic to the store. On top of these, the refurbished Service Centers can also give customers an immersive first-hand experience of Samsung’s innovative products through available demo units.